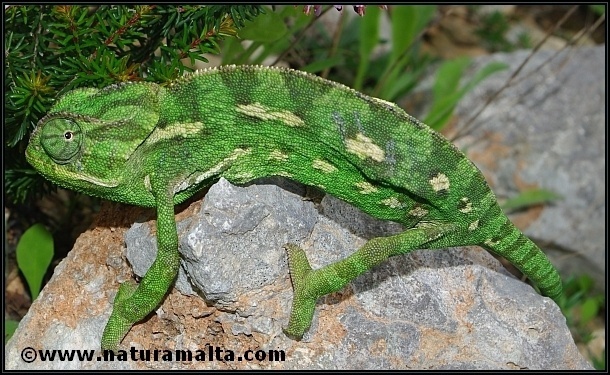 The Common Chameleon (Chamaeleo chamaeleon) is an introduced specie of chameleon and which has become naturalised. It is generally found on tree branches hunting for insects and other arthropods which it catches by its very long tongue. The eyes of the chameleon can be moved independently of each other and the reptile can also change its colour apparently in response to environmental stimuli and communication with other members of its specie.